KATHMANDU, Nepal - In October 2017 a team of stand up paddleboarders embarked on a first descent of the Kali Gandaki lower regions and were treated to a spectacular adventure. Hosted by the team from Water Skills Academy and Live the Adventure Himalayan specialists, the trip provided everlasting memories. Here is a brief synopsis of the adventure. Mention Nepal and the mind conjures up images of high snow-covered peaks, Sherpas and climbers in down suits. Or if you are a little older, it may take you back to the hippy trail and wild stories of happy times in Kathmandu. On the other hand, a paddler may dream of multi day whitewater trips in seriously remote areas. For years the rivers of Nepal have been a focus for the whitewater kayaker or rafter, a playground for kayakers challenging themselves against some of the world’s best whitewater. Taking an eye off the white water, Nepal has some amazing flatwater grade 1 rivers which are perfect for multi day SUP adventures. Arriving in Kathmandu, late October the team assembled in Thamel, a fun vibrant tourist area with its bars, cafes and guesthouses. After a fun evening the team of paddlers from the UK, Canada and Nepal flew to Pokhara, west of Kathmandu. Flying to Pokhara is the best option to save time. The road between the two areas is a rough ride and can take 6 hours at best, or a lot longer at worst. This year, Live the Adventure Co, Himalayan specialists and the Water Skills Academy ran a Nepalese first – a first SUP descent on the Kali Gandaki lower regions, 6 days of easy grade water, with one section of whitewater. This river description has deterred many paddlers but for a SUP descent it is a perfect fit. The Kali Gandaki rises near the Tibetan border and flows to the Ganges cutting its way through deep gorges and jungle corridors. Paddling in Nepal results in a variety of conditions as the rivers change every year with the arrival of the monsoon period. The rivers change dramatically due to the continuous summer rain and that’s why impeccable planning and using local knowledge is essential. Pokhara sits below the Annapurna on the bank of Phewa lake. It has a slower pace than hectic Kathmandu and is the gateway to some of Nepal’s great river systems. Last minute preparations and the team boarded the bus for a scenic drive to the put in spot. The put in is below a small town of Ramdi and alongside a grade 2 plus rapid, easily portageable. With our gear loaded on the support raft our journey started and we pushed off and paddled downstream into the wilderness. A river journey is special, each day waking to the unknown of what the day will bring. On many rivers, kayaks and rafts have become a regular sight by local villagers, however the lower Kali Gandaki has seen very little river traffic and definitely no Stand Up Paddleboarders. This was a first and we were constantly greeted by an array of smiling faces as the locals watched on inquisitively. Nighttime and we were treated to insect songs from the forest, amazing stars and fireflies. Days were warm under the Himalayan sun with the continual flow of the river. Research and planning had confirmed an easy float trip however changes to the river had made each day more challenging than anticipated. The flow was steady however following a long and heavy monsoon we were surprised by the number of grade 2 rapids faced daily. Whilst these would be no issue for a raft or kayak, they proved to be reasonably challenging at times for stand up paddleboards. Each day brought new experiences both on and off the water. Amazing paddling, laughter, stories and friendly locals. All too soon our get out was in sight, boards and raft deflated we were back on the bus for a challenging journey back to Pokhara and a last paddle on Phewa lake. This river journey is suitable for the adventurous SUPer with a good level of experience, happy to be on and in the water. To find out more and join the team in 2018, email [email protected] or [email protected], check them out HERE, and watch the video below! 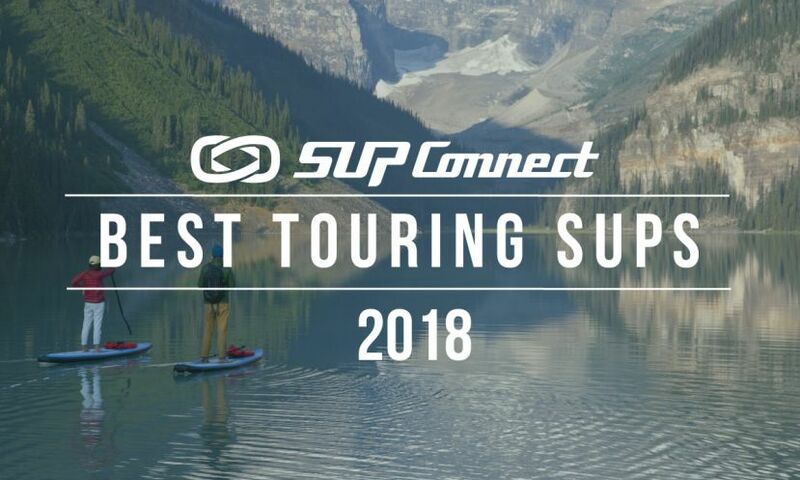 For more on SUP Travel Destinations, click HERE. Water Skills Academy (WSA) offers instructor qualifications, workshops, schools/center accreditation, mentoring and consultancy across the disciplines of SUP, surfing, lifesaving, sit on top kayaking and coasteering. Over the years, through the many different ways we have accessed the ocean, open water and rivers we have learnt our trade from many different sources and sharing this knowledge is one of our goals. We have selected a fantastic trainer team specialising in their chosen disciplines and all with the same aim – a love of their sport and industry and a passion to educate and develop those wishing to enter the outdoor industry market. Chris is a SLSGB lifeguard trainer and has been providing watersports instructor and lifeguard training courses for 15 years in UK and Europe. He has trained over 800 individuals and many of them have gone on to set up their own schools and centres or work as professional beach lifeguards. Chris has over 35 years worldwide surfing experience and discovered SUP 7 years ago which led Chris to set up one of the first SUP schools in the UK.